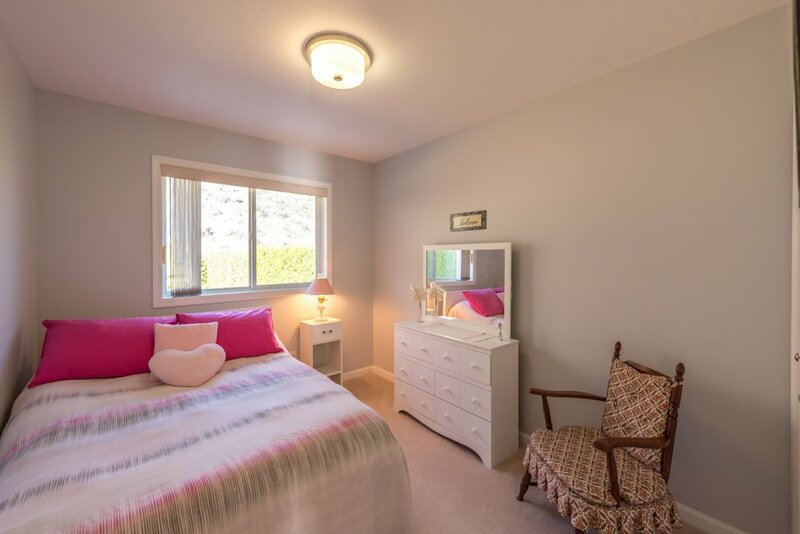 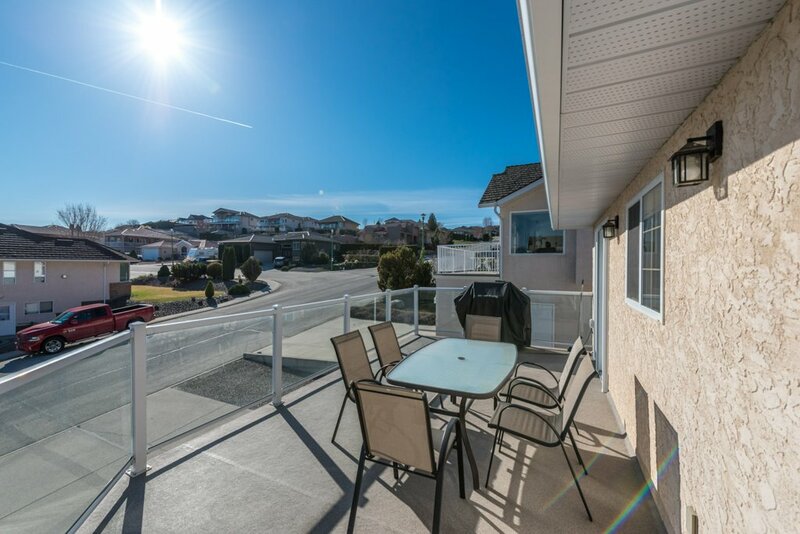 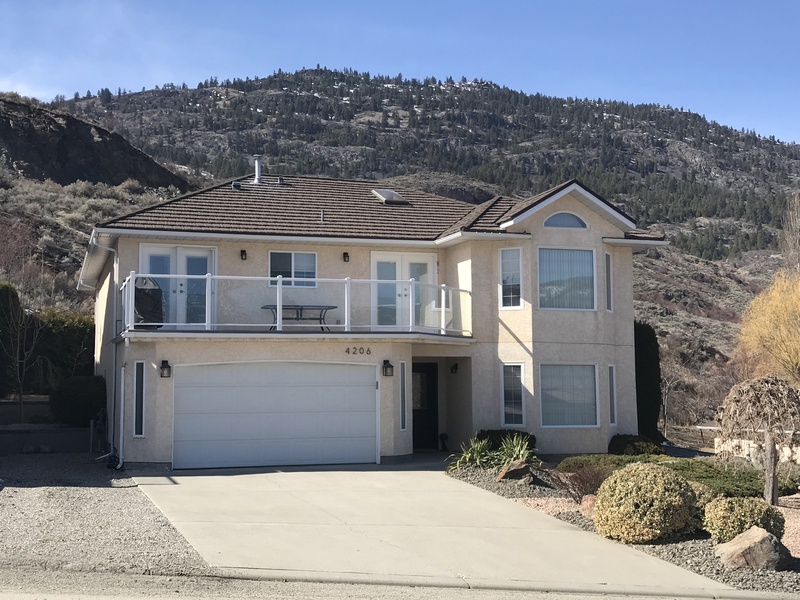 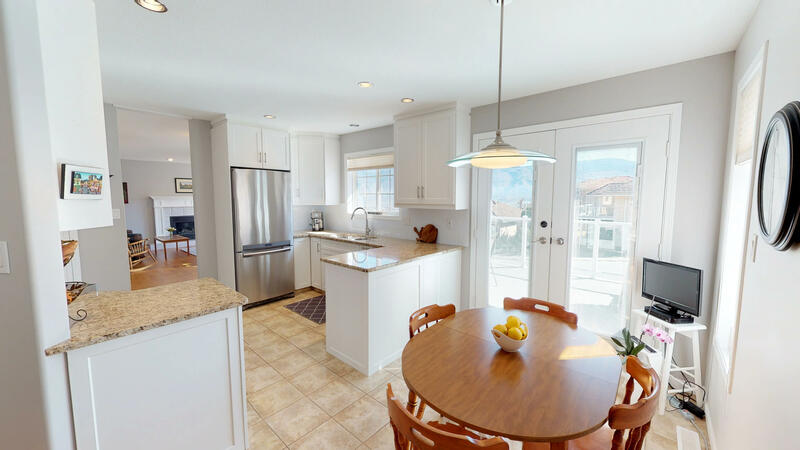 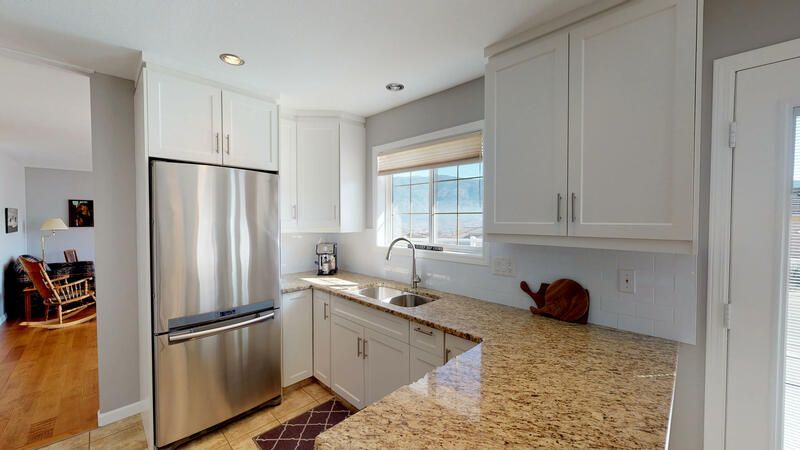 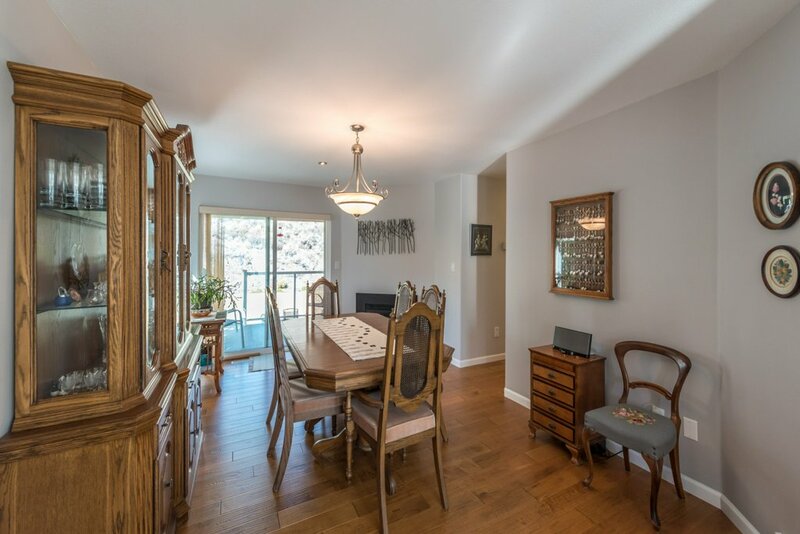 Beautiful home with large, super-private yard, located in the prestigious subdivision, Dividend Ridge, steps to Osoyoos Golf Course & Country Club. 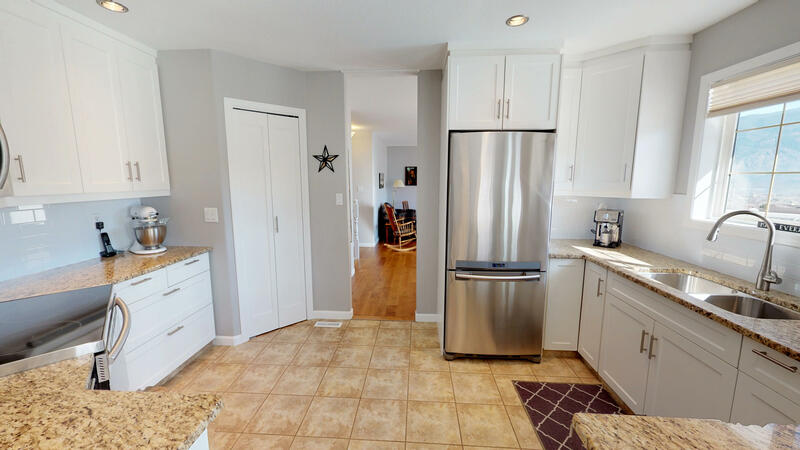 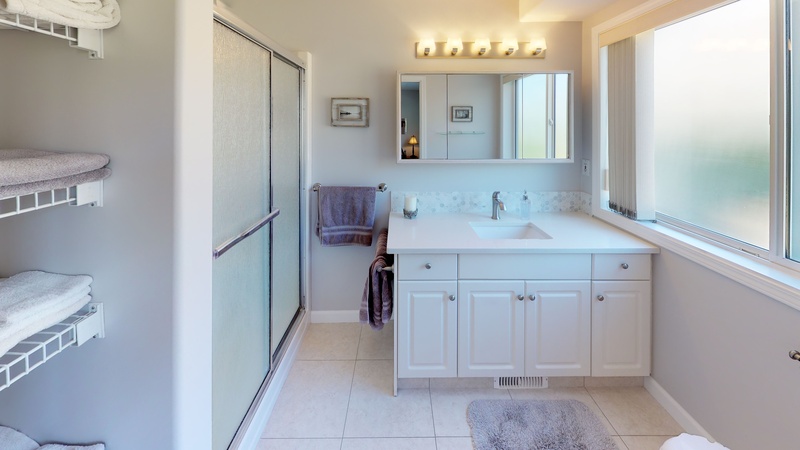 The minute you enter this home, you will be impressed with its charming features like spacious walk-up floor plan, elegant gourmet kitchen with granite counter-tops spacious pantry, and a nook. 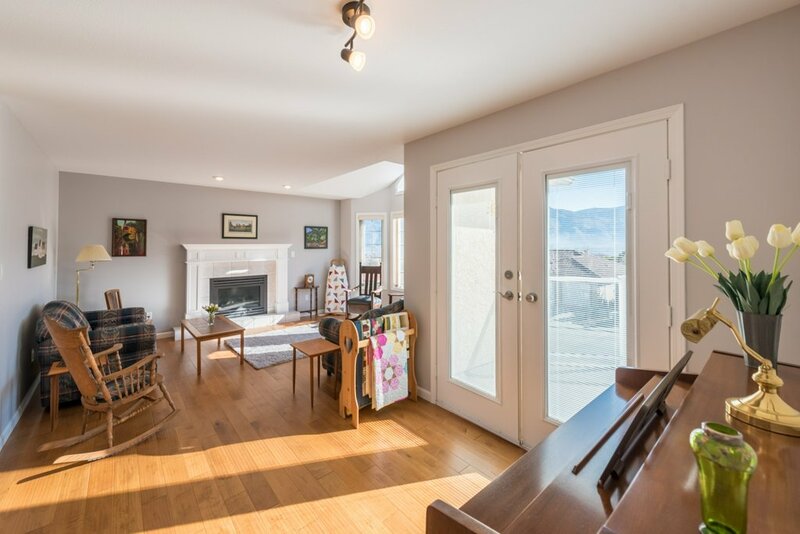 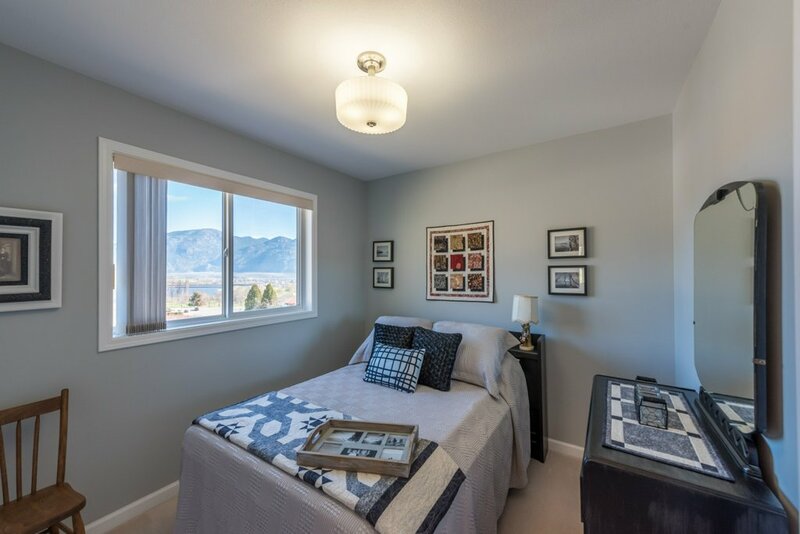 Gorgeous brand-new engineered hardwood flooring throughout, large bright windows and double access to the large front deck. 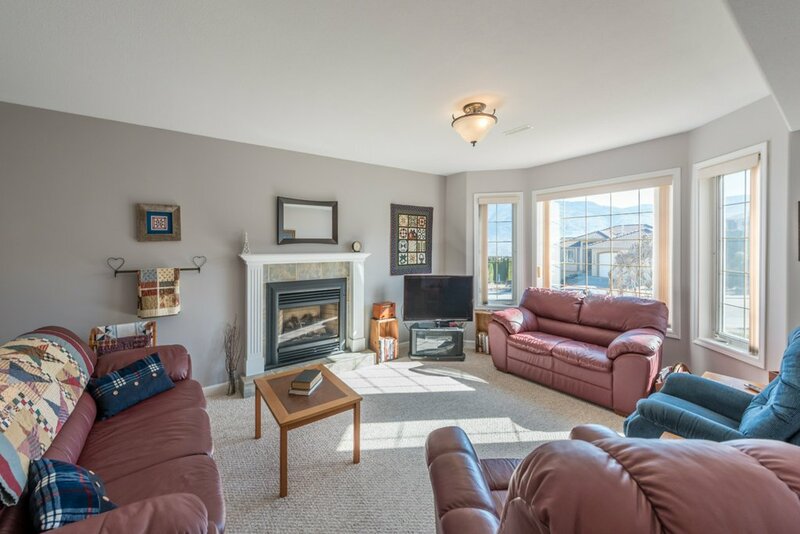 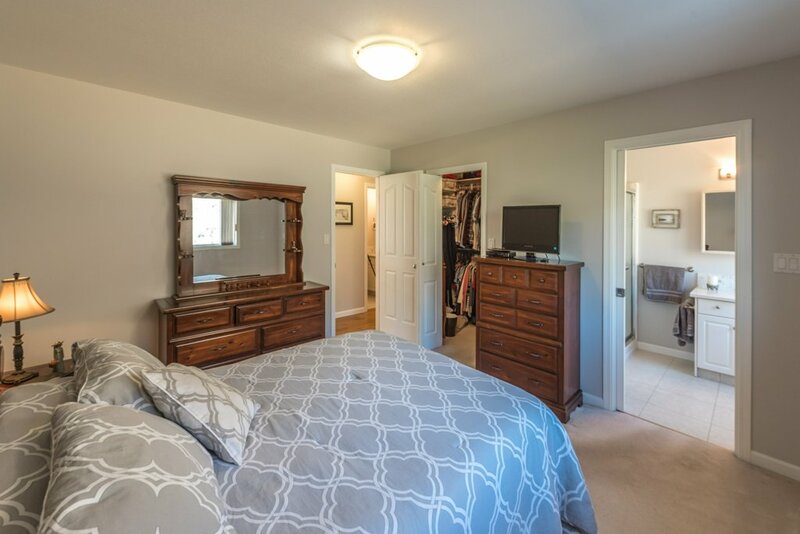 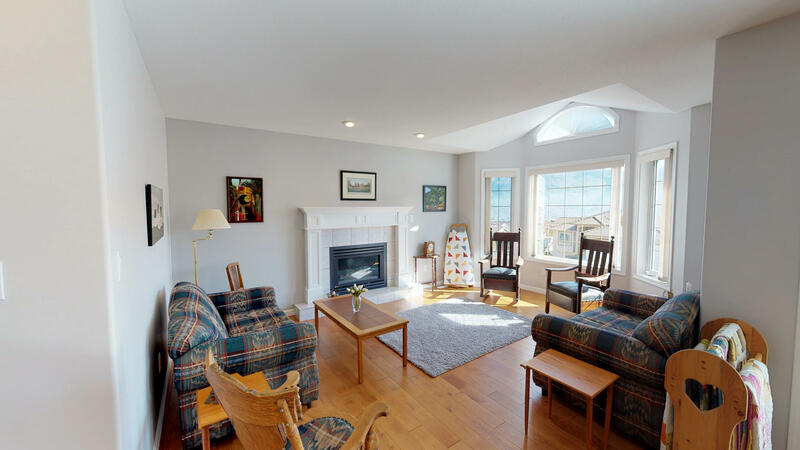 The upper level also features a cozy livingroom with gas fireplace as well as formal dining room with access to the back deck/yard and another gas fireplace, master bedroom and a guest bedroom. 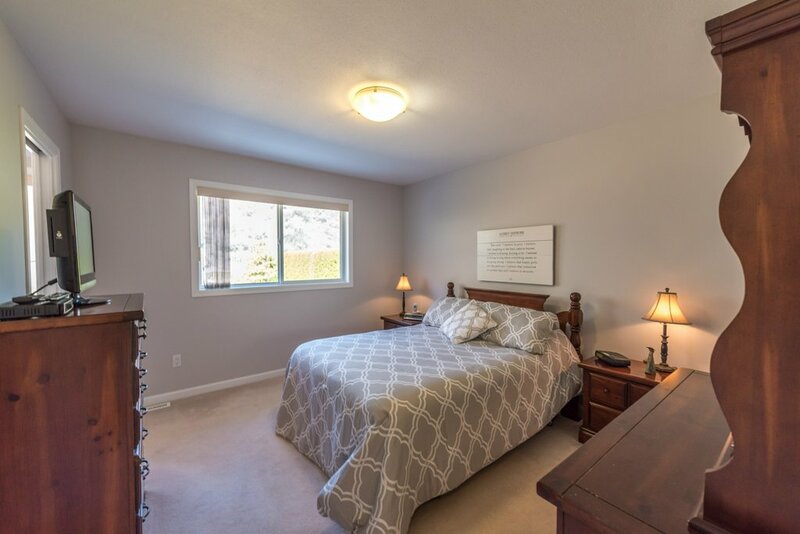 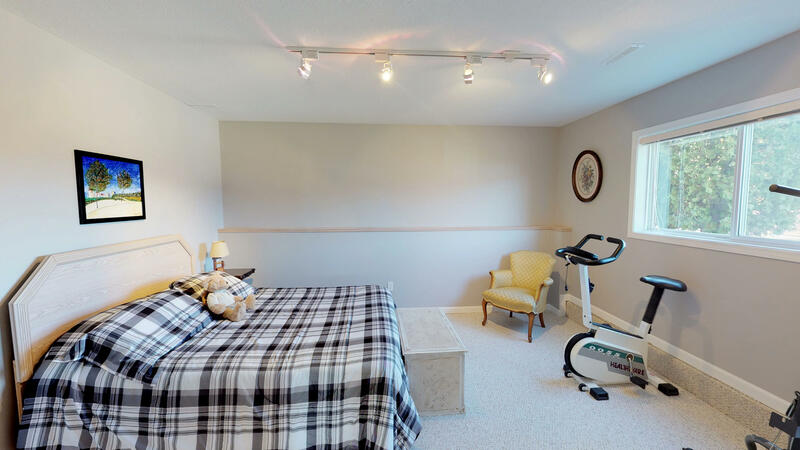 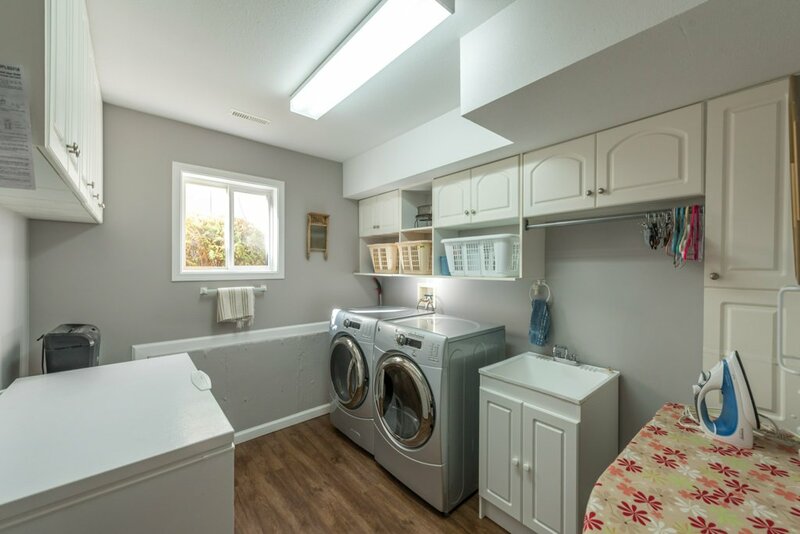 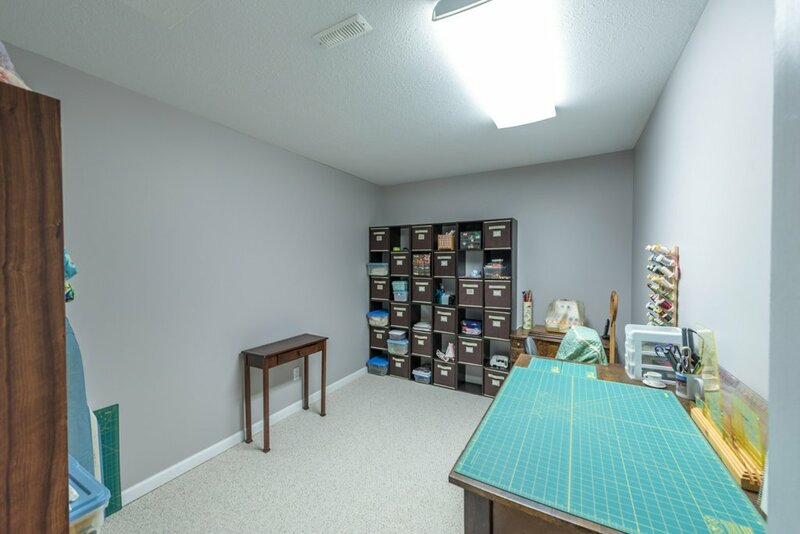 The ground level is fully finished with a large family/recreation room equipped with the 3rd gas fireplace, one more bedroom, office, laundry and storage. 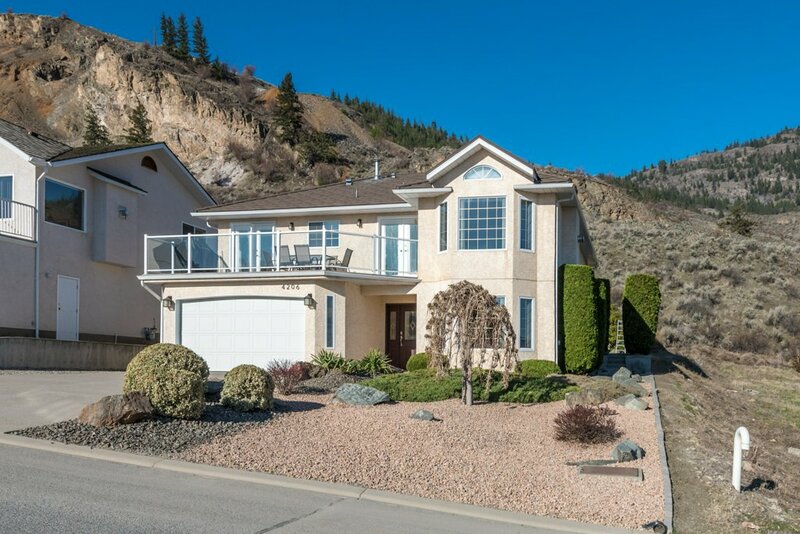 Low maintenance front yard, underground irrigation for the back yard, RV parking and double car garage.